Woohoo, Norwex is going BACK to New Zealand for another round of info sessions and giveaways! 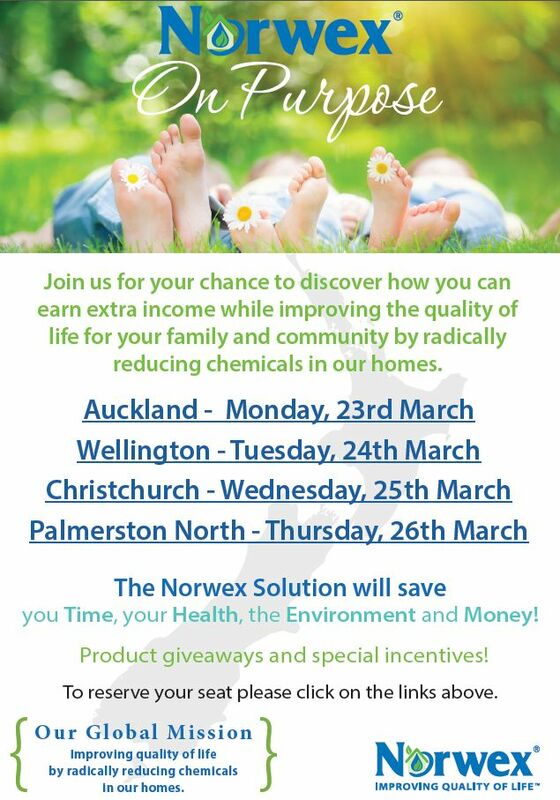 If you are in NZ or know someone who is and either a) want to try using Norwex yourself, or b) are looking for some way to make some extra income or even a full time job, in a way that meets with your ethics and gives you work-life balance – take a look at the dates and see if you can make it. ← Toss the Chemicals in March – It’s Norwex Join for Free!